Typically, when a law enforcement officer, may it be a trooper or police officer, starts to follow you while you are driving panic mode sets in. 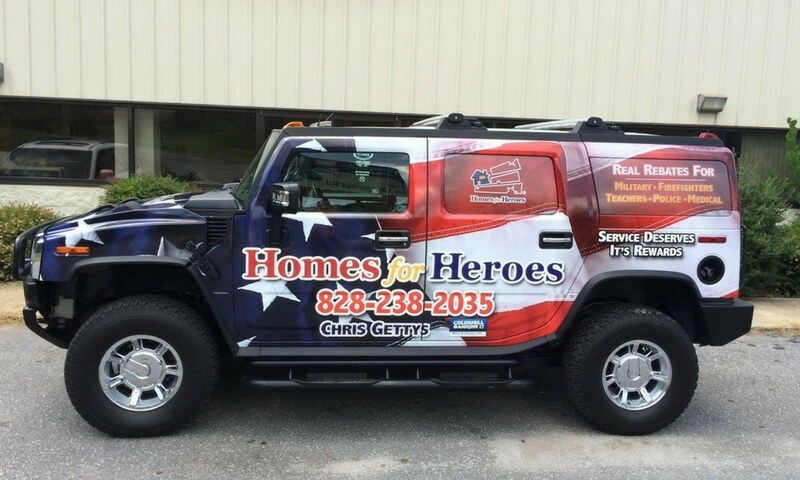 Well, this wasn’t exactly the case for Homes for Heroes® Affiliate Chris Gettys of North Carolina. Who would have thought that a car wrap could open so many doors. Check out Gettys’ story and hear first hand how going above and beyond can make a difference. It was a normal day for Gettys. He was out driving around town in his Homes for Heroes wrapped Hummer when he noticed a State Troop had started to follow him. Now, rather than turning on the cherries and pulling Gettys over, the Trooper followed him to next red light and pulled up next to him. 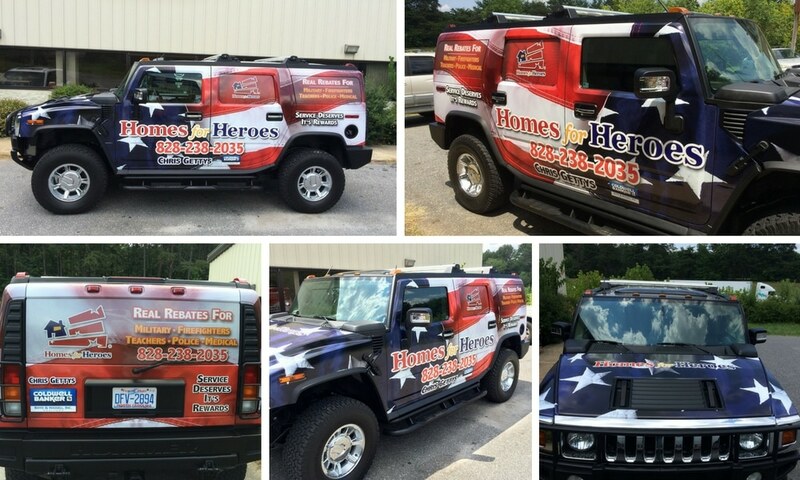 After looking over the Hummer’s wrap – we are assuming that both drivers had their windows down – , the Trooper started asking Gettys all types of questions about the Homes for Heroes program. Unfortunately, due to short timing of the red light, their conversation was cut short. However, the trooper told Gettys he would give him a call later to continue their conversation. As Gettys explained, to his surprise the trooper did call back a few hours later and they picked up their conversation right where they left off. 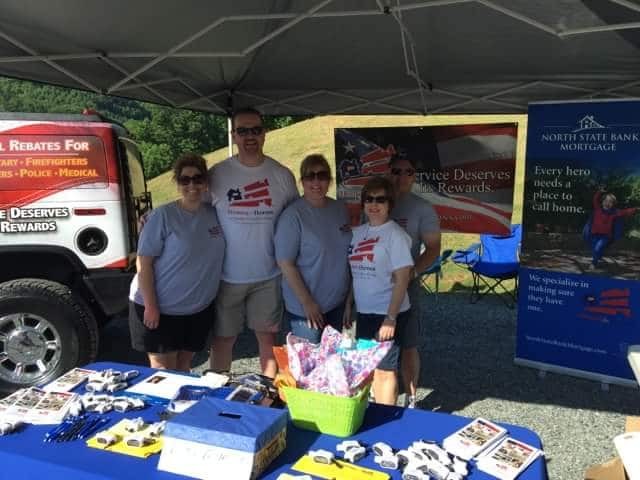 Gettys explained who he is and what the Homes for Heroes program does, along with how he was interested in simple ways for himself to get involved in the Troopers Association. Without hesitating, the trooper provided Gettys with contact information for the association. Next thing you know, Gettys and his Lending Partner Jaimie Harrington have a booth set up at Trooper Family Day. Not only was Gettys able to get a Homes for Heroes booth at the event, he was also able to share the stage with the governor and speak to hundreds of troopers and their families. Gettys explained that while the event did not create a lot of leads, it was a great opportunity to get “his foot in the door” with the association, along with make people aware of the Homes for Heroes program. He is now working with the Trooper Association on future events and is hoping that he will be able to get in with local chapters. This way he can get other affiliates involved and spread the word about just how great the Homes for Heroes program is.